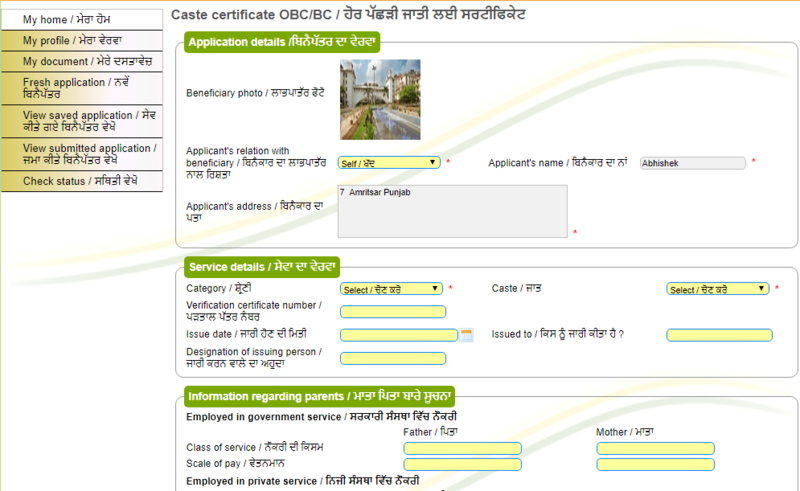 This procedure provides you information about how to apply for OBC Caste Certificate in Punjab. OBC Certificate is the proof of one’s belonging to a particular caste. For Obtaining OBC Certificate Applicant has to submit required information and required Documents which is mention below in the procedures. Candidates can easily issue OBC Certificate using following information. So, the detail procedure for Obtaining OBC Certificate in Punjab is as given below. What is OBC Caste certificate: OBC Caste Certificate is the proof of one’s belonging to a particular caste. This certificate is essential for getting several facilities offered by the concerned government.